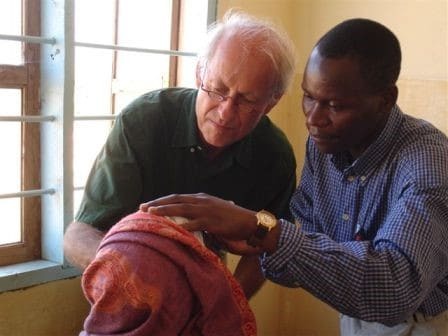 Eye Care Foundation was born out of the need to help provide and establish good and affordable eye care in developing countries while being based in the Netherlands. Initially this happened mainly through sending out ophthalmic teams. The support has shifted to aiding local capacity by facilitating training, improving the infrastructure by building eye clinics and donating ophthalmic equipment. We are working towards sustainable eye care. The support of the Eye Care Foundation is focused on the poorest for whom good medical care is inaccessible or unaffordable. The Eye Care Foundation has projects in the Himalayan region (Nepal), Southeast Asia (Vietnam, Cambodia, Laos) and Africa (Tanzania, Rwanda and Zambia). 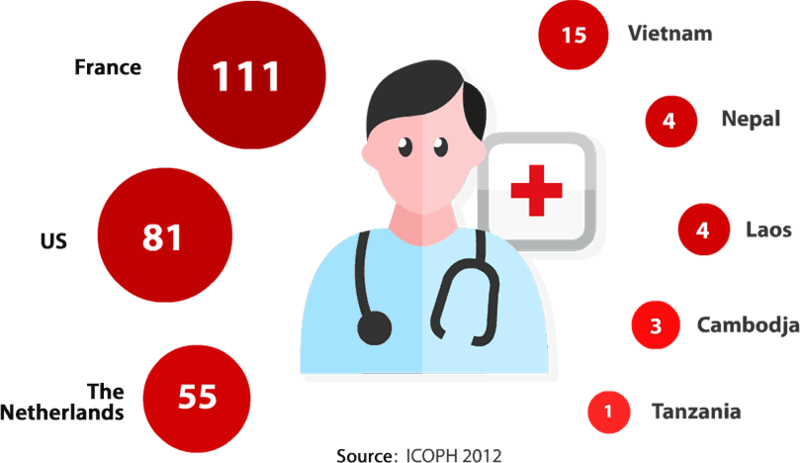 The support we provide is most successful when networks of Eye Centres are set up in the regions with well-trained local staff, volunteers, high quality equipment, and good housing. The goal is to strengthen those networks with our project support. Over time, the networks should be able to support themselves financially and acquire the expertise to work independently. It is fundamental to integrate locally to ensure continuity and quality. The partners receive general support and medical management from the Netherlands and through our field offices in Nepal, Vietnam and Cambodia. With our support, our local partners are becoming increasingly independent in organizing and implementing the necessary eye care. Eye Care Foundation was founded when Eyecare Worldwide and Mekong Eye Doctors joined forces in 2008. The two organizations shared the same objectives and working together as the current foundation has proved to be more efficient and effective. Eyecare Worldwide (1984) was founded by a Dutch ophthalmologist who was moved by the plight of the high number of people who suffered from blindness that could be cured or even prevented. Mekong Eye Doctors (1993) was founded by a Dutch biochemist after he had been in Thailand to conduct eye research. Financing ophthalmic training on all levels enables local professionals to work in their own country to reduce avoidable blindness and visual impairment. The courses and programmes are held in the country itself or in a neighbouring country. The goal is a structural improvement of eye care in the projects. Making improvements from the bottom up allows the local personnel to take over the running of the project, freeing the Eye Care Foundation to move on to new projects. Dutch ophthalmologists who work for the projects as volunteers, regularly give training courses to local ophthalmologists, who in turn can train other ophthalmic staff. 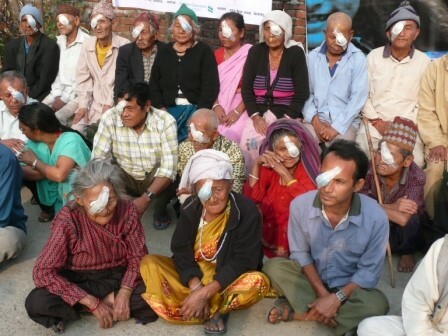 With the financial support of the Eye Care Foundation, local medical teams provide eye camps in areas that are hard to reach, such as the mountains of Nepal. 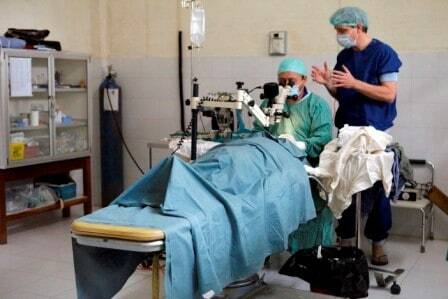 In a short period of time, these temporary clinics help as many people as possible with cataract surgery. This is often the only way for the locals to receive eye care. The Eye Care Foundation finances the construction of ophthalmic centres, ranging from village clinics to ophthalmic hospitals, and provide all the equipment. Well trained staff can work independently and give inhabitants permanent access to quality eye care. Visually impaired children are often unable to keep up in school and follow higher education either because they have no glasses or they have glasses with the wrong prescription. The Eye Care Foundation therefore provides training for optometrists. Village health workers and teachers are trained to recognize eye problems. If necessary, glasses are made locally, free of charge. Eye Care Foundation is a part of the VISION 2020 initiative. ‘VISION 2020: The Right to Sight’ is the name of the global initiative to combat avoidable blindness and visual impairment. This initiative was launched in 1999 by the WHO (World Health Organization) and the International Agency for the Prevention of Blindness (IAPB), an alliance of more than 20 international non-governmental organizations with an international coalition of professional organizations, occupational groups, eye hospitals, non-governmental organizations (NGOs) and companies. The aim of this initiative is to eliminate all cases of avoidable blindness and visual impairment by the year 2020, because everyone has a right to good vision (source: VISION 2020 Netherlands).The Eye Care Foundation has been an official member of the IAPB since 2015. The Eye Care Foundation helps prevent and cure avoidable blindness and visual impairment in developing countries. Eighty percent of patients with blindness can be easily cured by cataract surgery and many visually impaired people have been helped by good prescription glasses. The solution may be simple, but it is impossible without your help as a donor.